These cartoons made the Old Testament seem like a fun adventure. 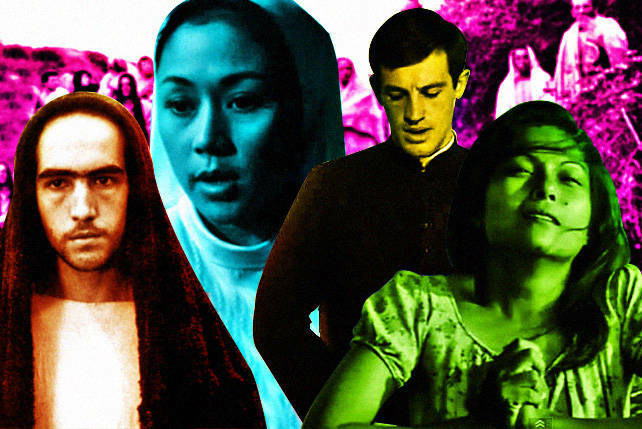 (SPOT.ph) The Bible can be pretty traumatic-a massive flood, plagues, a man-eating whale. But, children’s cartoons manage to make these stories more palatable and fun. In the early ’80s, Superbook aired on Japanese and American TV and was brought to our shores in the ’90s on GMA Network-complete with Tagalog and Cebuano dubs. 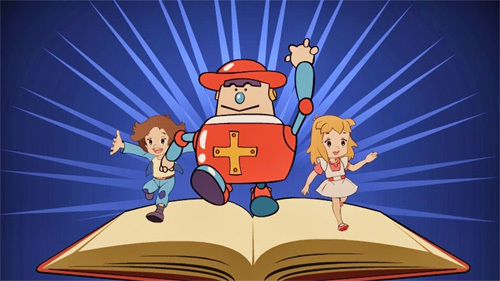 Superbook chronicles the adventures of Christopher, who discovers the magical Bible "Superbook," and time travels to days of the Old and New Testaments with his friend, Joy, and Gizmo the robot. 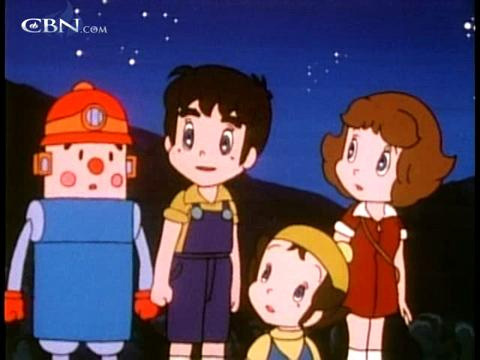 The Flying House was a companion series to Superbook and followed the same style, but the heroes here are Justin, Corkey, Angela, and the robot’s name is SIR (Solar Ion Robot). Also, the kids time-travel with a flying house instead of a book. For some, this was their first introduction to classic Bible stories. The animated kids and simple storytelling made these sometimes tedious stories enjoyable. Superbook has made its comeback on TV with a new style of animation Holy Week is definitely the best time to remember some of our favorite things about the two shows. Both series dealt with kids traveling back in time, bearing witness to some pretty harsh stuff, such as a flood that wipes out most of the earth and the death of a man on a cross. But that’s all they do-witness and harmlessly participate. They don’t set out to change the course of history. Although they did try to stop Abraham from sacrificing his son, Isaac (spoiler alert: Isaac lives). Now, that would have made for a crazy children’s show. Each time our heroes would try go home, their respective time machines would just send them to another period in time. Okay, we get that their trips are very meaningful and educational, but these kids just want to go home to their parents at some point! Don’t worry, they do make it back at the every end of each season, and their parents never suspect. Gizmo is exactly the pal you’d want to have with you when you suddenly find yourself in Biblical times. He was an added challenge, though, since he’s a wind-up robot, and the kids would have to wind him back to life. SIR, on the other hand, was a deadpan wisecrack of a sidekick. They’re both cute and clever characters, and if you’ve got a time-traveling, flying house, there might as well be a cool robot to help you figure things out. If you haven’t heard yet, Superbook is back on TV screens, except it might look a little unfamiliar to those who grew up on the original series. The new Superbook uses CGI animation and we admit that it’s a bit jarring. 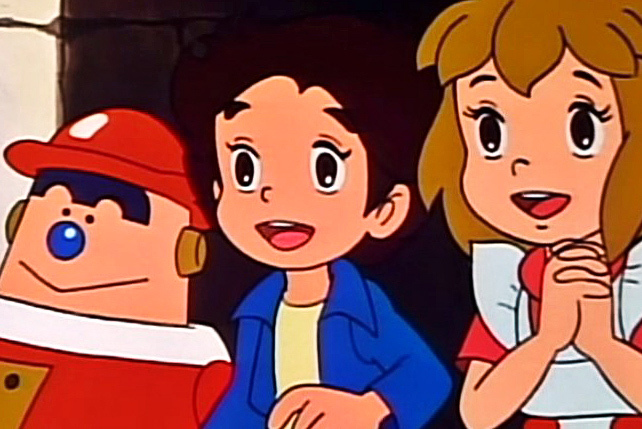 The classic, hand-drawn animation of the original series adds a colorful dimension to the show, in contrast to the rather creepy CGI of the current series. The Bible has some extraordinary stories, the kind that you wouldn’t want to expose your child to. Superbook and The Flying House make situations like John the Baptist’s beheading strangely kid-friendly, and not just for the viewers, but for the young protagonists as well. 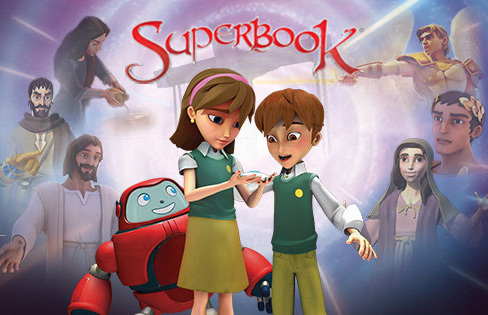 The second half of Superbook brings the latest technology into the story! This was the ’80s, so we bet the showrunners thought it was a real kick to have the Superbook’s information available on a computer. In the show, whatever adventure is taking place in the Superbook can be seen on the monitor. But it’s not just the Superbook that fell into the computer-Christopher’s dog, Ruffles, fell in as well. So, the rest of the series deals with the kids searching for the dog throughout their adventures. Good thing this happened after they relived Noah’s Ark. Oh yeah, that ’80s tune definitely brings back memories. "You know I wanna go back again, I wanna go back with my friends!" We do, Superbook, we really do. If only all our books could teleport us to the stories they tell...luckily for Chris and his friends, they stumble upon the Superbook while looking around the attic. The flying house came to be when Professor Bumble tried to recreate Bejamin Franklin’s lightning experiment, but like most good time-travel stories, everything doesn’t go according to plan and they’re whirled off to the past. Interestingly enough, a flying house with the occasional sunbather on the roof never gets noticed, even by Jesus and his disciples when they walk past it in one episode. Billie Lou Who? If you’re a fan of Japanese animation, you should know that she was the voice of the iconic Astro Boy. She also lent her talents to Superbook, voicing Christopher Peeper. The God of the Old Testament was quite scary, always teaching his children on earth lessons whenever they sinned. Both series, particularly Superbook, dealt with the Old Testament, but still managed to show us the loving, forgiving side of God, instead of the vengeful, wrathful one. Faith, forgiveness, friendship-just some of the many lessons we took from these two shows.